Travelling last-minute can be exciting. It’s a great way to shake up your routine, inject some spontaneity into your life and there’s potential for big savings depending on when and where you’re travelling. In many other cases, you might end up having to travel somewhere with minimal advance notice, leaving you with no choice but to try and find a last-minute flight. 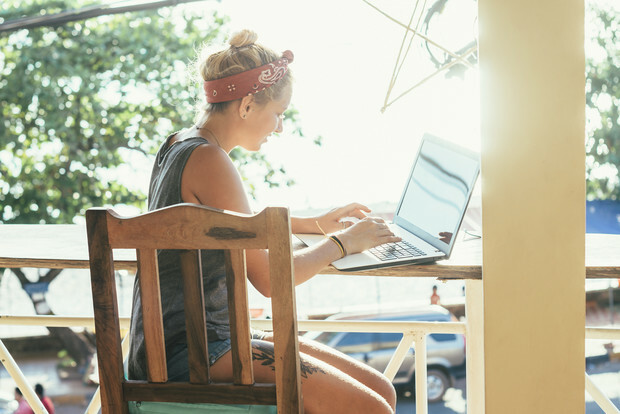 Whether you’re able to travel on a whim, or you need to catch a last-minute flight (on Cheapflights.co.uk, of course), here’s how to go about booking – and ideally saving – on your next last-minute flight. First things first; the rulebook on last-minute flights has changed over the last decade. 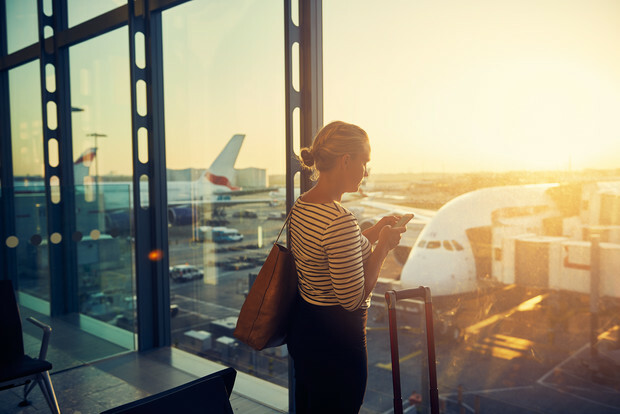 At one point, it was possible to save money on a last-minute flight simply by showing up at the airport with bags packed and a willingness to go wherever seats were cheapest by way of a standby flight. That situation no longer holds true and standby flights only happen if you miss your flight or already have a ticket and hope to snag an earlier departure. In addition, the current landscape for last-minute travel has changed, requiring more research and forethought on the part of travellers. Rather than just showing up at the airport, now it’s up to you to see what flight options are out there and which ones might work best for your travel circumstances. Getting a wallet-friendly last-minute flight really comes down to how flexible you are with travel dates. The more date combinations you can search, the more chances you have at nabbing a well-priced last-minute fare. Fixed dates can box you in and you’ll likely end up having to spend more. The same goes for location. Searching for flights to multiple destinations only increases your odds of hitting on a good last-minute flight deal. In terms of dates, think too about travelling to destinations during their off-season. If, for example, you’ve got Paris on the brain, looking for a last-minute flight in October would likely cost much less than if you were searching for July. When it comes to booking a last-minute flight it’s best to do it when you don’t *have* to be somewhere, but rather just want to go somewhere. Waiting to book a last-minute flight for something set in stone (a conference you need to attend, a friend’s wedding) means you have zero flexibility and will likely end up spending more than you want to. In instances where you have to be somewhere at a specific time, it’s best to book in advance. Being willing to fly at undesirable times can often help you find last-minute flights at desirable prices. Not everyone wants to get on a red-eye or a flight leaving at 6am – but if you can handle the sleep disruption or you’re actually fine getting some substantial shut-eye in-flight, booking something during a time other travellers might pass on can help you save money and get you where you want to go despite doing so last-minute. Red-eye flights are almost always cheaper than flying during the day. Waiting until the last minute to book your trip home for Christmas or to plan your Easter break is likely going to work against you. In addition to being flexible with your travel dates, avoid trying to find a last-minute flight during the most popular travel times. Flights (and not to mention, hotel rooms) will be full and there will be much less chance of a deal being found. It can also be helpful to search for last-minute flights during a destination’s low season when airlines will want to fill seats. That being said, flying on an actual holiday (versus a few days before it) can potentially save you money since the majority of travellers plan on reaching their destination prior to, say, Christmas Day. Getting social media savvy may help if you want to increase your odds of finding a last-minute flight. So can signing up for newsletters. In both cases, you’ll be the first to know if there are last-minute deals to be had. For starters, follow airlines (and Cheapflights, of course) on Facebook or Twitter, and sign-up for email newsletters and flight alerts. Does the airline in question get decent reviews? What do previous users have to say about the service? Doing some due diligence prior to booking can save you some hassle and frustration in the long run. Finding one well-priced last-minute flight is one thing, finding two or three is going to be tough, so your best bet for a spontaneous getaway that won’t break the bank is to go (or at least book) solo. You might not get seats together, but you may be more likely to all get on the same last-minute flight. If there are a few of you looking to travel last-minute, you’ll have the best luck if all of you can be flexible with dates and locations. Lastly, when you do see a good last-minute travel deal, it’s a good idea to snap it up as soon as you see it assuming you’re ready to pack your bags. Who knows when and if something better will come along. When you’re ready to head off somewhere (with short notice, or with time to spare) let Cheapflights.co.uk help you find a budget-friendly option.